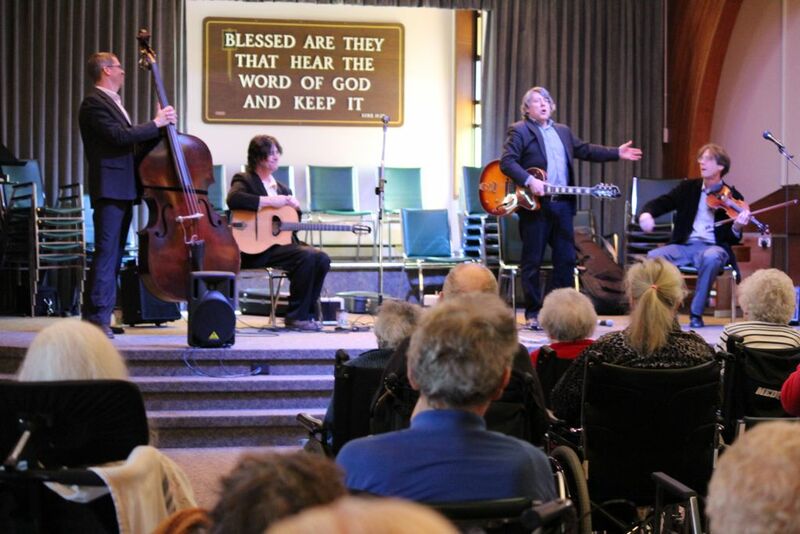 Since 2006, over 8,000 high-quality professional Concerts in Care have brought the rich experience of performance arts to people in residential care across Canada. 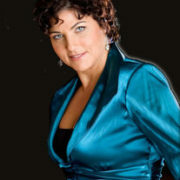 Argentinean-Canadian mezzo-soprano Fabiana Katz has appeared as soloist with the National Arts Centre Orchestra, Vancouver Symphony Orchestra, New Westminster Symphony Orchestra, Prince George Symphony Orchestra, and the Kitchener-Waterloo Chamber Orchestra, as well as many and diverse choral organisations around the province. Ms Katz has recently retired from the Vancouver Chamber Choir after a 10-year tenure. As a recitalist, she focuses on repertoire which highlights her varied cultural background: Spanish, Latin American and Sephardic. She holds a Master of Music degree in choral conducting from the College-Conservatory of Music at the University of Cincinnati and is in demand as a teacher and clinician. Presently she is artistic director of FUSION LATINA, the first Canadian choral ensemble dedicated specifically to the performance of Latin American popular and folk music. 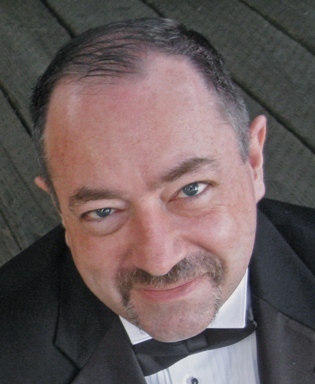 Pianist Stephen Smith grew up in rural Nova Scotia, where he sang and played the piano from an early age. After initial studies in his home province in both piano and organ, he attended the Royal Northern College of Music in Manchester, England. 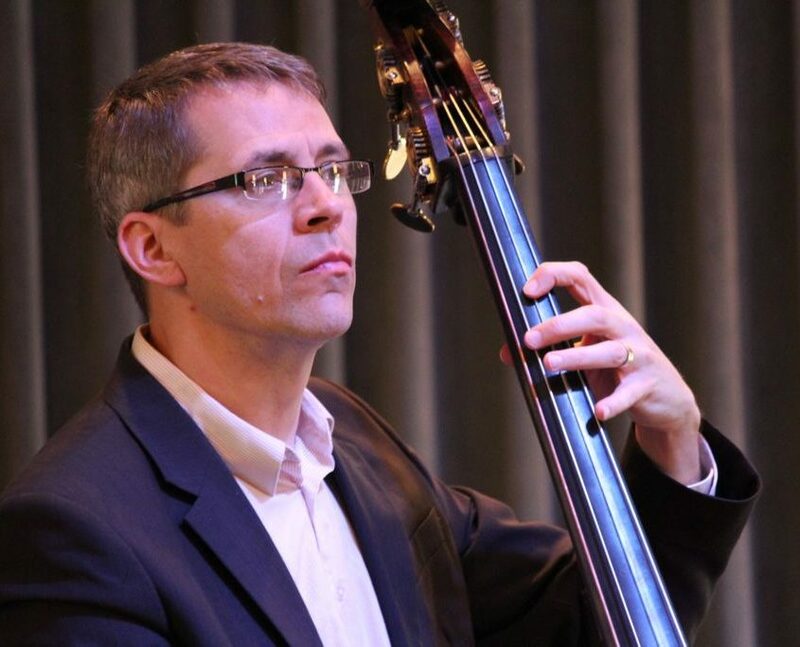 Since 1990, Stephen has lived in Vancouver, obtaining his doctoral degree in piano performance from the University of British Columbia (as a student of Jane Coop), and contributing to the musical life of the city as a performer, teacher, conductor, and composer. 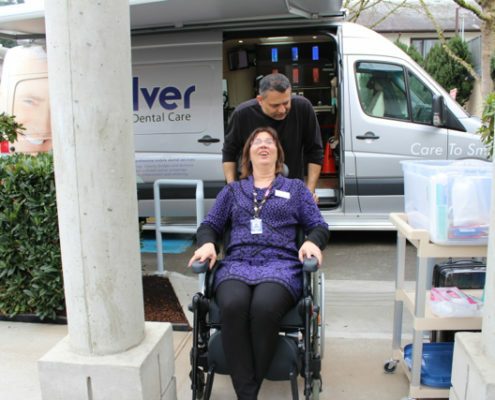 Karen Baillie, CEO, takes the inagural ride into the dental van. A new concrete ramp makes dental work easier! 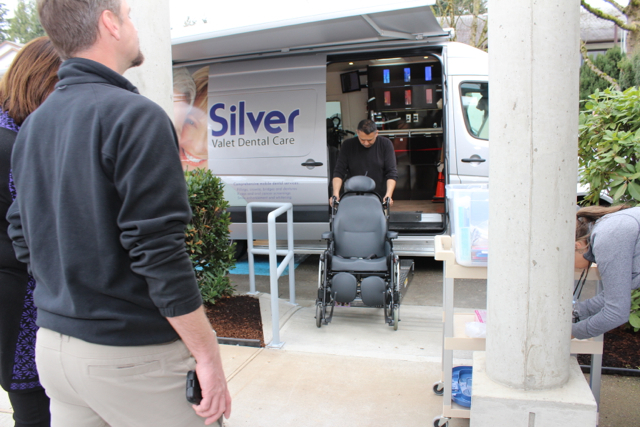 Today, the Silver Valet Dental Care and Menno Place partnership went to another level! The inagural ride on the new concrete access path via wheelchair was taken by Karen Baillie, CEO – guided by Matt. 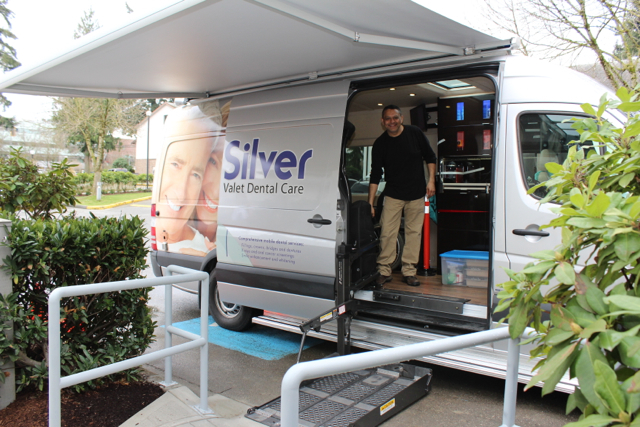 When we noticed that the Silver Valet Dental Care van was parked far from our entrance in order to accommodate wheelchairs, we knew it was time to make an access path. Bas Kervel, Manager of Maintenance and Facilities – along with his maintenance team – created an easy access path that allows the dental patient to easily make their way under cover into the mobile dental van. 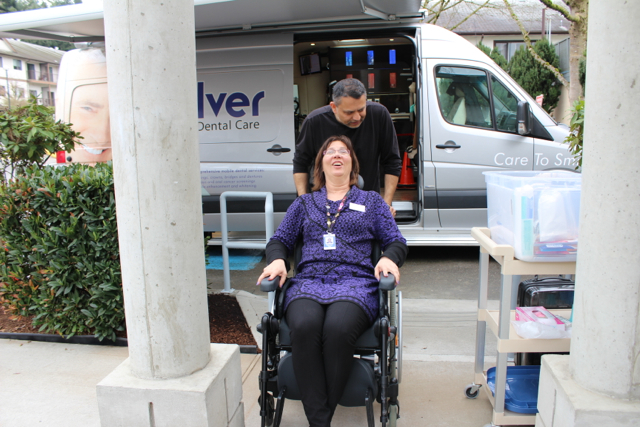 Silver Valet Dental Care provides comprehensive, on-site oral health services for residents and tenants on the Menno Place campus. They have state-of-the-art equipment and wheelchair accessibility, providing safe, convenient access to preventative and therapeutic oral healthcare. What a great day! Creating a pathway that allows residents to remain under cover (especially in the rain) was a WIN! https://mennoplace.ca/wp-content/uploads/2016/11/Dental-ramp3.jpg 427 640 MennoPlaceCommunications https://mennoplace.ca/wp-content/uploads/2016/04/MP_logo_2014_tagline-300x160-300x160.jpg MennoPlaceCommunications2015-03-12 04:27:422018-05-29 18:50:26A new concrete ramp makes dental work easier! 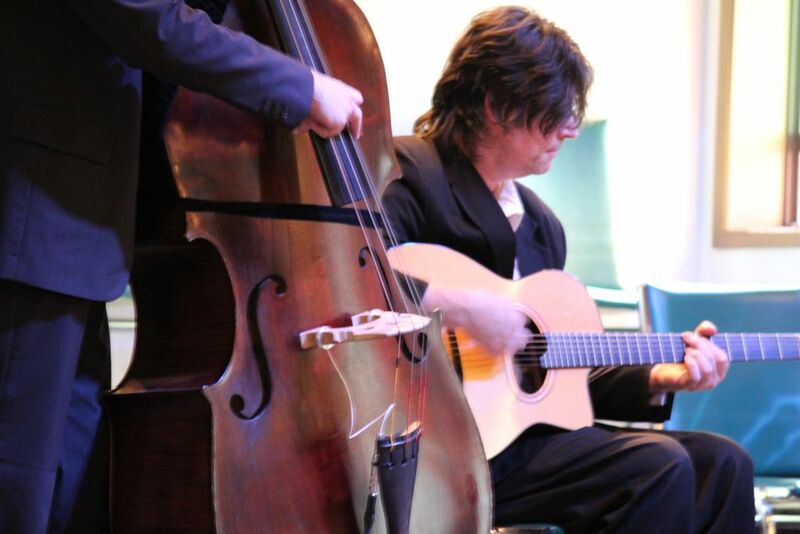 Today, we enjoyed the magical gypsy jazz, waltz, old time swing music and ballads of Van Django. 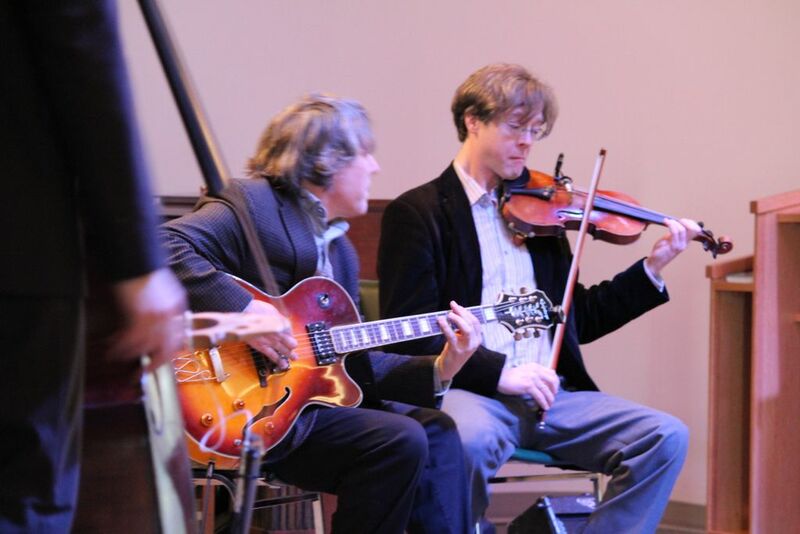 Performing for the residents of Menno Place, this acclaimed quartet brought us gypsy jazz, waltzes, old time music, swing music and ballads. 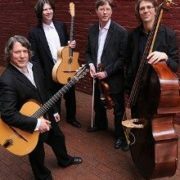 These four talented musicians inspired by the music of Django Reinhard & Stephane Grapelli’s 1930’s gypsy jazz group “Quintent Of The Hot Club Of France”. Their arrangements and original compositions draw on a galaxy of musical styles while remaining true to the classic sound of the quintet. 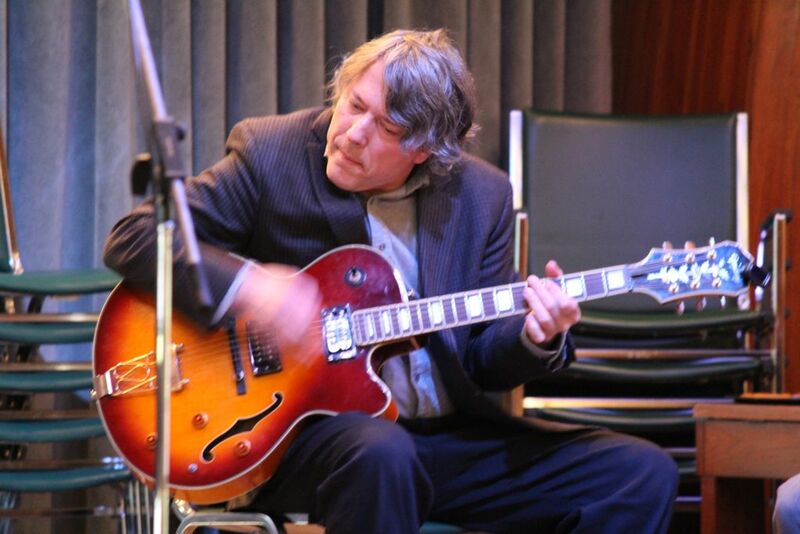 The lads are forging an original west coast sound, featuring virtuosic solos, bouncy rhythm, witty arrangements and an infectious sense of fun! Over 110 residents and their family members joined us for this Concert in Care. If you are a family member or friend of a resident, we encourage you to come out for the Concerts in Care. A family council is a group consisting of resident family members, friends and representatives who work together with staff to maintain and enhance the quality of life of residents and to provide a voice in decisions within the facility that affect them. Family council meets every third Thursday of the month. Members met in the Menno Home Chapel for an informative presentation by Nelson Cordoco and Joanie Dunn from Dignity Memorial Funeral Services. 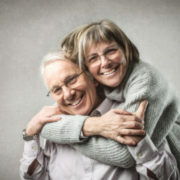 Research states that the most stressful event in one’s life is the death of a spouse. The presentation was a reminder that planning ahead is so important in order to protect our loved ones. Filling out a pre-planning guide ahead of time is highly recommended so you do not have to once your loved one has passed on. It is a huge stress reliever. Education resources, and a time of reflecting on residents that have passed away in the past few months were shared with the group. Next meeting, family council will have presenters discussing the topic of Polypharmacy. Sometimes, too many medications cause side-effects and drug interactions may cause more harm than good. Every medication that is put in our body involves a balance between risk and benefit; the more medications involved, the more complex the balance is to figure out. Come and bring your questions for this intriguing presentation. March 19, 1:30pm-2:30pm in the Menno Home Chapel. We hope to see you there. Have you discovered Henri Nouwen’s writings? Henri Nouwen was an internationally renowned priest and author. After leaving his professorship position at Harvard University, he worked with the L’Arche Daybreak community near Toronto, Canada. It was there that Henri served those with development disabilities, most notably Adam who became his dear friend and gateway to understanding the Jesus Story. 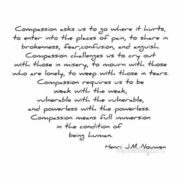 Compassion asks us to go where it hurts, to enter into the places of pain, to share in brokenness, fear, confusion, and anguish. Compassion challenges us to cry out with those in misery, to mourn with those who are lonely, to weep with those in tears. Compassion requires us to be weak with the weak, vulnerable with the vulnerable and powerless with the powerless. Compassion means full immersion in the condition of being human. Should you go to see “Still Alice”? If you are reading this, there is a significant chance that you are living your own version of “Still Alice” and have no need to view another’s journey with Alzheimer’s Disease. For those in the trenches, it may not be of any help or insight to see the progression of this debilitating disease. On the other hand, like me, you may be even more interested than the general public as you seek insight into this disease that is impacting your life. In 2004, 70,000 British Columbians were impacted by Alzheimer’s Disease and this number will grow to more than 110,000 by the end of this year – 2015*. In the movie, Julianne Moore plays “Alice”, a professor who lives out the Alzheimer’s journey of initial symptoms, diagnosis, shock, tenacity and decline. 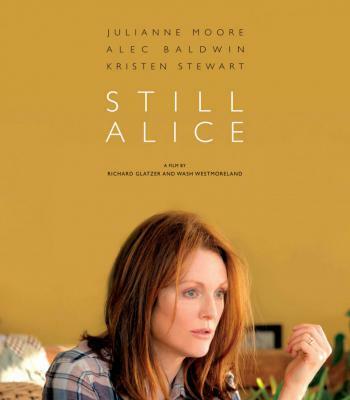 Based on the book of the same title by Lisa Genova, “Still Alice” does not mean that Alice isn’t moving. “Still” in this case refers to the idea that throughout her decline, Alice remains the unique individual that she was prior to the disease taking its toll on her life. She is “still” a mother, “still” a friend, “still” a world-renowned professor, “still” able to contribute, “still” loved by her family and “still” valued. Like the recent Robert Duvall movie “The Judge”, Still Alice forges into areas of loss and grief that are rarely depicted on the big screen. For those whose lives are dedicated to the compassionate care of those who suffer from dementia, these scenes are familiar. Unable to control their bodies, both of these films tackle what may be the final area of privacy left in our culture – incontinence. Tenderly addressing the embarrassment, anxiety and humiliation of incontinence, both movies share the power of respectful care at a time of incredible vulnerability. It also tackles the difficult ethical issue of taking one’s own life to avoid the full extent of suffering. Alice advises herself (through a short movie) how to end her life once she can no longer remember basic elements of it. These scenes are heart-wrenching as the Alice who tries to end her life is no longer able to assess the implications of following the instructions she set out for herself. The movie does not set out to promote any viewpoint on this. Rather, it seeks to show the painful decisions and level of hopelessness that an individual suffers when living with this disease. 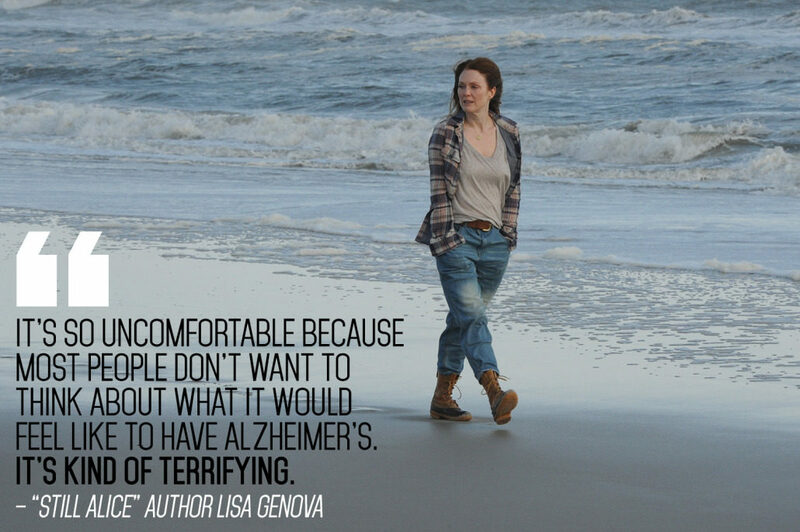 Still Alice moves an audience to enter into their own fears about their own possible diagnosis of dementia. It moves an audience to see the full breadth of the dementia experience. The viewer sees the loss, the grief and the hopelessness. We also walk alongside the family through a depth of support that transforms each individual touched by Alice’s progressive disease. 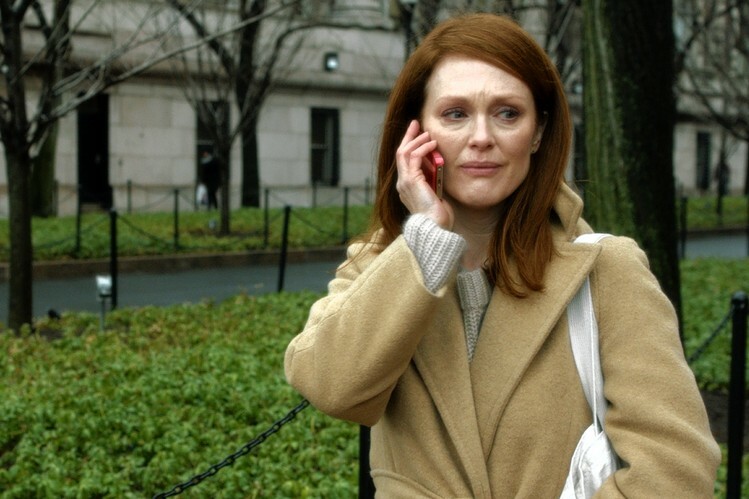 Still Alice is willing to tackle the tough issues of family dynamics – a husband whose day-to-day life must go on, a daughter who is faced with difficult genetic decisions for her children and another daughter who is reconciled to her mother through thoughtful, compassionate, initiating care. At one point, Alice tells her daughter that she knows they are fighting but can’t remember why. She asks if the daughter will forgive her so that they can move on. It’s an unexpected fresh start for the two of them. Should you go to see Still Alice? The acting is authentic. The story is difficult. The heart is moved. If you are prepared to take an honest look at the journey of Alzheimer’s (more than you are already living), then you should go. Don’t forget to bring your kleenex. You’ll need it. https://mennoplace.ca/wp-content/uploads/2016/11/Still-Alice3.jpg 499 749 MennoPlaceCommunications https://mennoplace.ca/wp-content/uploads/2016/04/MP_logo_2014_tagline-300x160-300x160.jpg MennoPlaceCommunications2015-02-24 10:17:142016-11-03 10:20:42Should you go to see "Still Alice"? 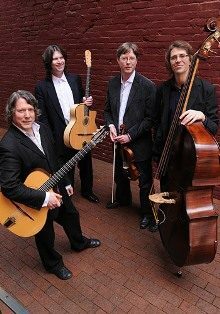 Van Django is a group of four talented musicians inspired by the music of Django Reinhardt & Stephane Grapelli’s 1930’s gypsy jazz group “Quintet Of The Hot Club Of France”. Their arrangements and original compositions draw on a galaxy of musical styles while remaining true to the classic sound of the quintet. The lads are forging an original west coast sound, featuring virtuosic solos, bouncy rhythm, witty arrangements and an infectious sense of fun! 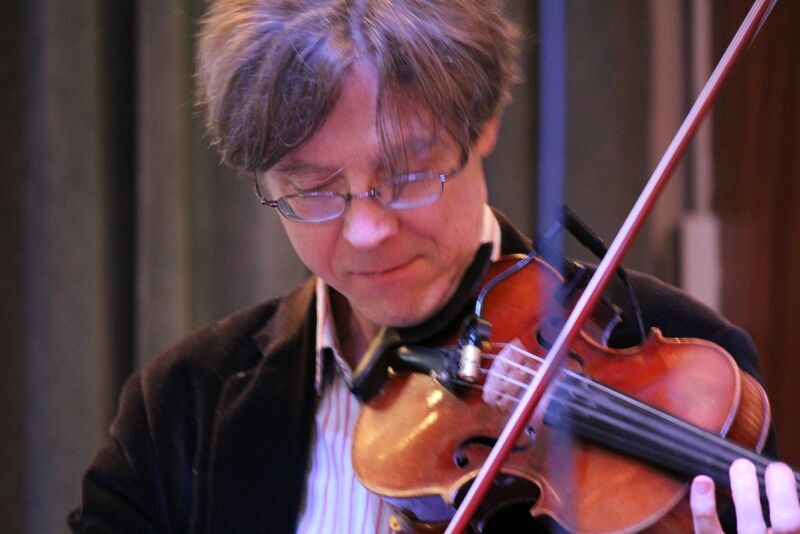 Jeffrey’s concert engagements have taken him throughout Canada, the US and into Europe. 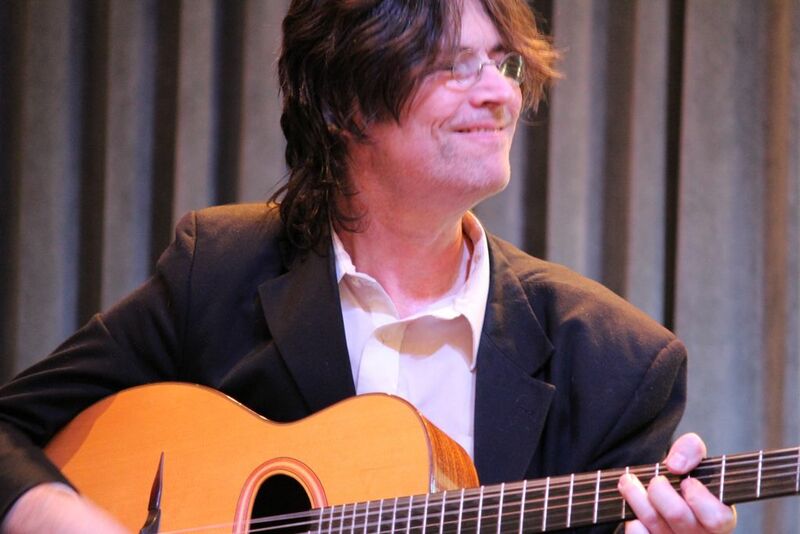 He performs as a soloist, as a chamber musician, and is a participant in major guitar festivals and competitions. 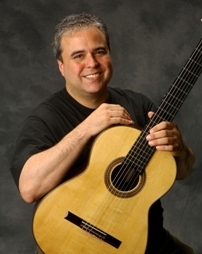 He is frequently heard on CBC radio and the public radio in the US, and has recorded numerous CDs for Naxos lable, the most recent disc is a volume of the music of the Paraguan guitarist and composer, Augustin Barrios. 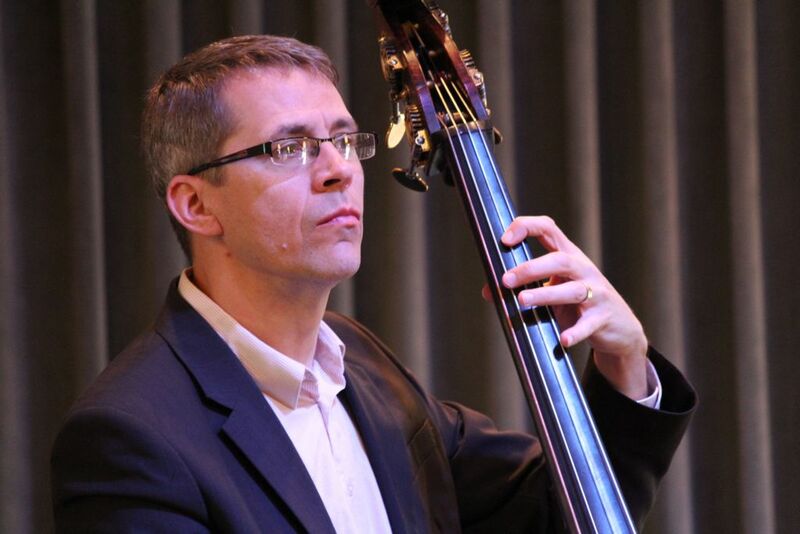 Jeffrey is on the faculty at the University of Toronto, and also teaches through masterclasses at many Canadian universities, including University of British Columbia. We are pleased to let you know that we have an agreement with the city that enables resident’s visitors to park along the west side of Primrose Street. 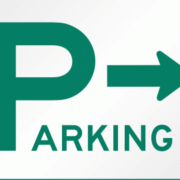 Beginning on February 15th, visitors will be able to receive a date/time stamped parking pass from Terrace East reception to place on the dash of their car. Where can I get the pass? You can get the pass from Terrace East reception. This is for the visitors of residents who live in Terrace East. Along the west side of Primrose Street between Marshall Road and Brundige Ave.
Failure to display pass properly may result in vehicle being ticketed by the city. The pass is ONLY valid for the location and period noted on the pass. 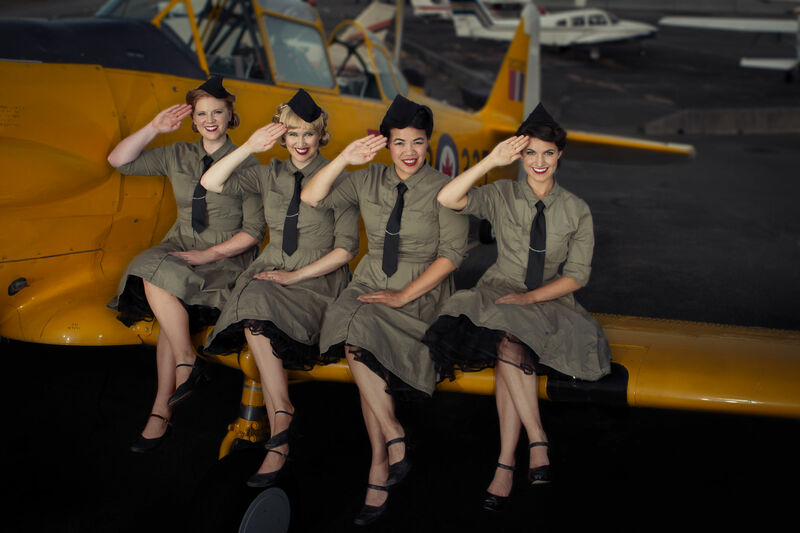 Kick up your heels with The Lady Larks and their sweet swingin’ vintage harmonies! From striking arrangements of Tin Pan Alley composers to covers of The Andrews Sisters, Manhattan Transfer and The Swingle Singers, this young quartet has been impressing their audiences since they came together in late 2010.